The festival of Baisakhi 2019 which is the Punjabi New Year (Sikh New Year) will be marked on April 14, Sunday this year. Also called as Vaisakhi it is celebrated by the Punjabi speaking community, so more so in the Northern states of India. 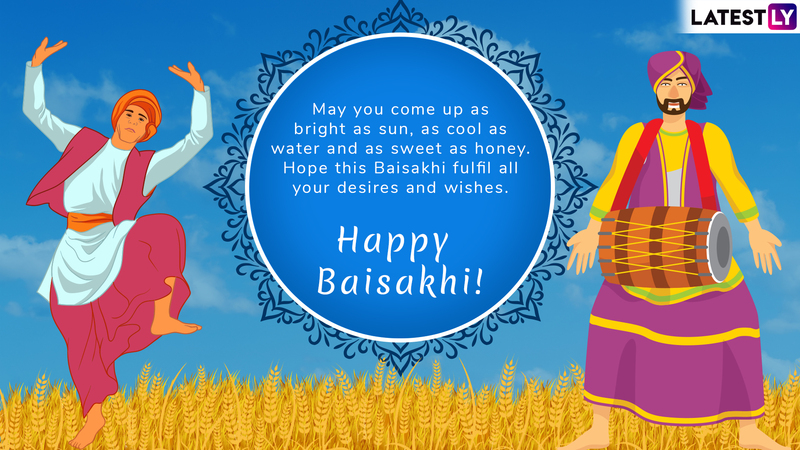 Baisakhi is also the harvest festival and people hope for better beginnings with peace and prosperity. So people ensure to send Happy Baisakhi greetings to their friends, family and loved ones. Thanks to social media, Baisakhi festive greetings are also shared on Facebook, Instagram or WhatsApp to reach more people. 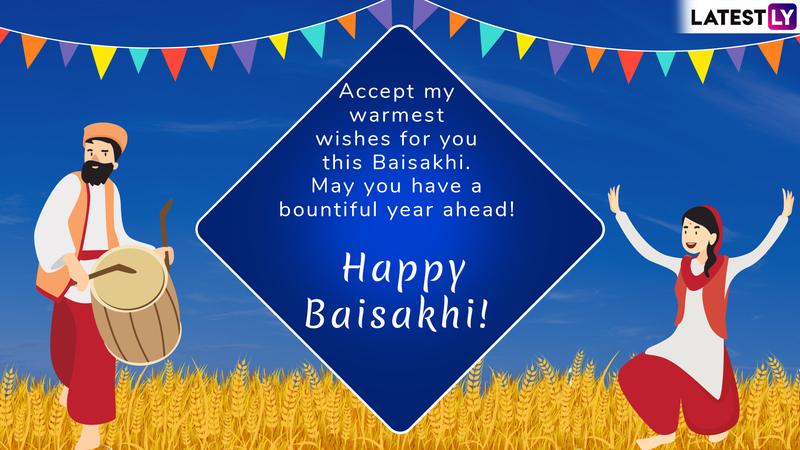 If you too are looking for Baisakhi greetings and messages, we have got you a collection of the same. 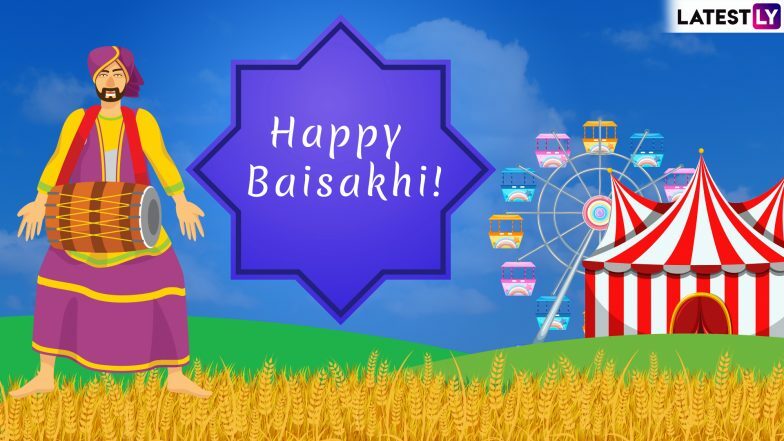 You can send across these Baishaki 2019 quotes, images, GIFs, SMS and messages to send Happy Baisakhi greetings with everyone. Baisakhi 2019: From Alia Bhatt to Sara Ali Khan, Take Some Essential Styling Cues to Dress Up this Festive Season - View Pics. Baisakhi is celebrated with much enthusiasm as the festival is very significant to the Sikh community, as on this day Guru Gobind Singh established the Khalsa panth. The Guru Granth Sahib - the Holy Book of the Sikhs - was declared the eternal guide of the Sikhs. Besides, it also marks the harvest festival and is celebrated by farmers in great fervour in Punjab. People ring in the festival by singing traditional songs and performing the Bhangra or Giddha dance. Many who are away from the family exchange Baisakhi greetings. 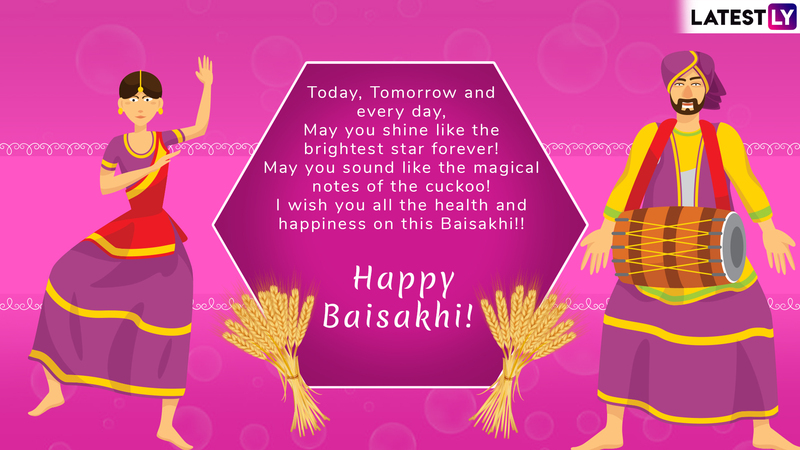 We thus give you Happy Baisakhi messages, quotes, images, GIFs, SMS and wishes. Baisakhi 2019 Date, History And Significance: How The Harvest Festival Vaisakhi And Sikh New Year Is Celebrated In Punjab. Message reads: Today, Tomorrow and every day, May you shine like the brightest star forever! May you sound like the magical notes of the cuckoo! Message reads: As you celebrate the Festival of Baisakhi, I am sending my Warmest wishes to you, For everlasting happiness and prosperity. Happy Baisakhi! Message reads: I wish a wish for you on Baisakhi, That all your wishes come true, May the Almighty accepts all your wishes, May you get the best rewards for your benevolent deeds! Message reads: May you come up as bright as sun, as cool as water and as sweet as honey. Hope this Baisakhi fulfil all your desires and wishes. Happy Baisakhi! Message reads: Accept my warmest wishes for you this Baisakhi. May you have a bountiful year ahead! WhatsApp Stickers are another brilliant way of giving greetings during festival and events. These animated WhatsApp stickers add more fun to regular conversations. And with the increasing usage, there are several sticker apps which make festive stickers available for users. You can download Baisakhi special sticker pack from Play Store and send Baisakhi WhatsApp stickers to send wishes. 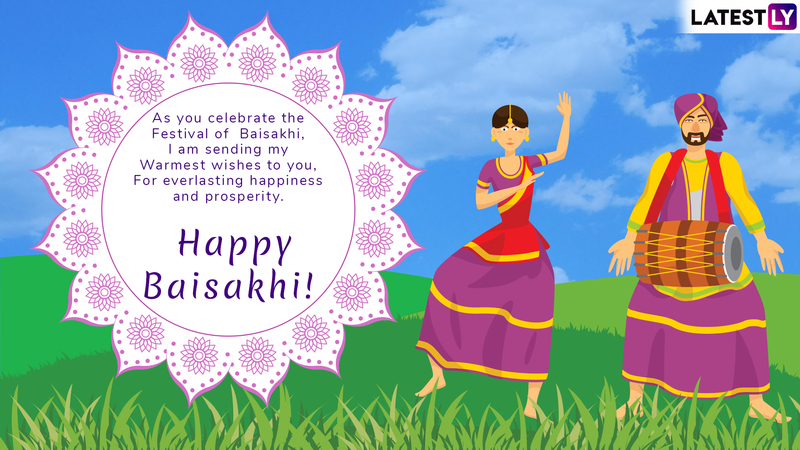 We hope our collection of Happy Baisakhi messages, greetings and images help you to wish your near and dear ones. 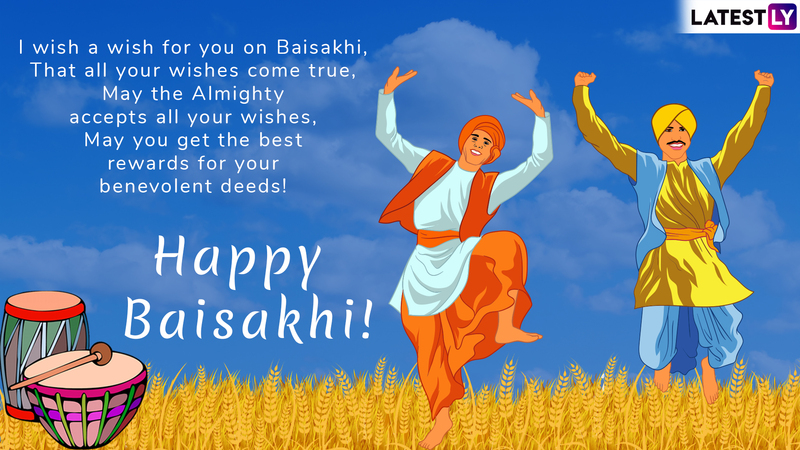 LatestLY wishes all readers a very Happy Baisakhi 2019!